At least four people have been killed and a dozen of others wounded in different attacks perpetrated in the capital Bujumbura between 14 and 15 June. The recent victim is Aimable Hakizimana, a resident of Kinindo neighborhood of the Burundian capital Bujumbura. He was shot dead on 15 June at around 11:30 a.m. when he was going back home. The police say unknown armed people followed and intercepted him until the entrance of his house’s gate. “They shot him and stole all his money”, says Moïse Nkurunziza, deputy spokesperson for the Ministry of Public Security. Around 3:30 a.m. in the early morning of 15 June in Kavumu area of Kamenge northern neighborhood of Bujumbura city, Nsengiyumva David was shot dead by security forces. Nsengiyumva with his driver were intercepted by the police officers when they finished loading a “Probox type” vehicle with BRARUDI beverages. Moïse Nkurunziza says the police officers on patrol in the locality shot four ballets trying to arrest them. “The suspected thief was hit by the bullets and died on the spot. The driver was apprehended and the vehicle caught”, says Nkurunziza. On 14 June, around 6:30 p.m. in Musaga southern neighborhood of Bujumbura, a grenade exploded and killed two people (drivers) and wounded a dozen of others. Lambert Nkurunziza, 33, died on the spot and Fiston Nduwimana died at hospital. Parking attendants say criminals threw a grenade when they had gathered in a bar to quench thirst. “One of us died on the spot while 13 others got wounded”, says a parking attendant met at Musaga Parking station. However, the police say only two people were killed and nine wounded. “It was around 6:30 p.m. when a grenade exploded in a bar killed two people and wounded nine others”, says Nkurunziza, Police deputy spokesperson. He says the misunderstandings that occurred e between two groups of managers of the parking place for cars would be the cause of the grenade attack. According to parking attendants, one group accused the chief of their association of embezzlement. “We have tried to dismiss him in vain. He tried to intimidate us what sparked the chaos”, he says. He says they are filled with fear following the attack that occurred in the area. “We don’t know the perpetrators and we fear a possible repression”, he says. This 15 June, in the morning, parking attendants were not allowed to work in uniforms. 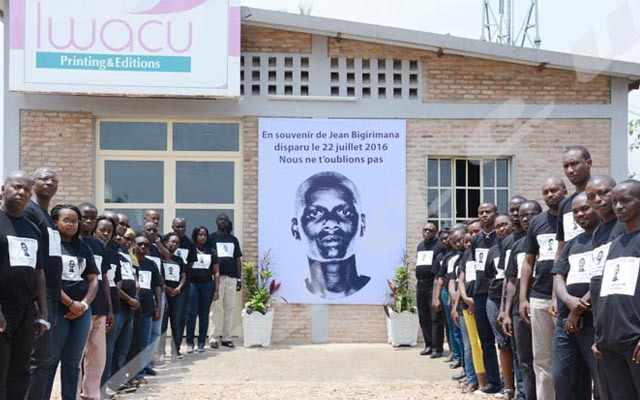 On 17 May, three young men, Cédric Kwizera, Reagan Ndayizeye and Audifax Harerimana were killed in a grenade attack in Gikoto area of Musaga southern neighborhood of the capital Bujumbura. Musaga is one Bujumbura neighborhoods that strongly opposed the third term of President Pierre Nkurunziza since April 2015. Human Rights Activists have often reported killings, abductions and arrests carried out in the area.